How is the Education Sector Transforming Additive Manufacturing? The education sector is playing an ever-greater role in the development of new additive manufacturing technologies and processes. As universities increasingly establish 3d printing labs to further their research and production efforts, both students and academics alike are exploring the new possibilities afforded by additive manufacturing. So in what ways can the education sector transform AM? As part of our series exploring the impact of additive manufacturing on various industries, today we’re taking a look at the current applications of 3D printing within education, and how the sector is transforming AM. Additive manufacturing is currently suffering from a skills shortage, and this has been one of the barriers to the wider adoption of AM. 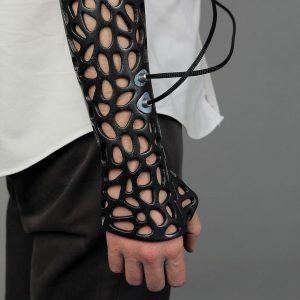 Although more universities are equipped with 3D printing labs and are offering more degrees in additive manufacturing, there remains a shortage of multidisciplinary educational programmes aimed at producing the next generation of AM professionals, particularly in the area of design. It’s here that universities and research institutions can play an important role in plugging the skills gap, by developing programmes developed to educate students on how to handle the particular demands of additive manufacturing. Design for additive manufacturing, for example, requires an entirely new approach to product design, due to the singularities of additive technologies. Knowledge of the various additive technologies, range of materials and process considerations are therefore crucial in developing the next generation of AM designers and engineers. One university seeking to solve this gap is Loughborough University, which has launched its new Masters’ programme, aimed at educating students about the design considerations for additive manufacturing. As other universities create and implement their own AM-specific programmes, students will be able to gain a better understanding of how to approach design for additive manufacturing, including how advanced tools such as topology optimisation can be used to enhance the design stage. Today, higher education institutions are at the forefront of innovative research into new additive manufacturing techniques and materials. Much of the research conducted significantly contributes to furthering development of applications across a range of industries, encouraging manufacturers to explore the benefits of AM. One key topic of interest is in how to increase the speed and efficiency of AM systems. Late last year, MIT engineers made a breakthrough by developing a desktop FDM 3D printer 10 times faster than its counterparts, with implications for the production of FDM parts. Similarly, the University of Sheffield has recently developed what it terms high speed metal sintering — a new method of metal 3D printing that aims to improve production speeds for laser melting technologies. Loughborough University is one institution that is paving the way for DfAM, with a broad range of research activities. For example, the university is conducting ongoing research into the design and customisation of automotive parts using additive manufacturing. Furthermore, the university boasts one of the leading centres for Additive Manufacturing in the UK – Additive Manufacturing Research Group, with state-of-the-art 3D printing labs used extensively for cross-disciplinary research. Materials for additive manufacturing is another area where extensive research is currently underway at a number of research institutions and universities. For example, Florida State University’s High-Performance Materials Institute (HPMI) and the Florida State University College of Engineering have joined the initiative to explore the possibilities of advanced 3D printing materials for space exploration. Research into the possibilities of hybrid and multi-material 3D printing have only just scratched the surface, with significant implications for the development of new, innovative materials for AM. Additive manufacturing within the education sector offers a great opportunity to enrich the learning experience for students by providing a hands-on learning approach. 3D printing is heavily used in medical schools to create tangible 3D models as visual learning aids. For example, Australia’s Macquarie University and Western Sydney University have pioneered with 3D printed human bones for anatomical study. As 3D objects offer better illustrative value than digital models alone, 3D bone replicas are not only a great way to engage students into the learning process, but are also much less expensive to produce than replicas made with traditional methods. The urology department at the University of Minnesota Medical School is another medical school using 3D printing, in this case producing anatomical models for students to practice surgical procedures and make cheaper substitutes of specialised tools. 3D printing is also a popular tool in teaching robotics. For example, the researchers from the University of California have developed a low-cost educational robotics kit with 3D printable design, providing students with the freedom of customisation and an innovative platform for exploring robotics and electronics. 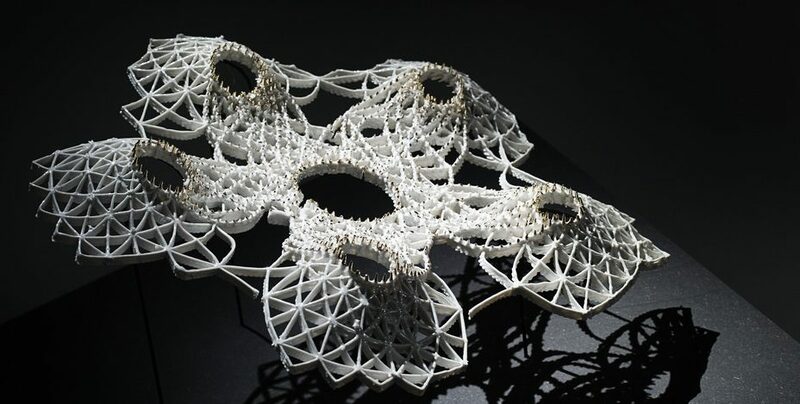 Incorporating 3D printing in architecture design is another use case, helping to broaden students’ learning experience and foster creativity. The Oslo School of Architecture and Design (AHO), for example, uses additive manufacturing in a number of creative applications, encouraging students to experiment with complex, architectural designs through 3D printing. The university is also conducting the research into how product design can benefit from additive technologies. Another example is CARTA Innovation Lab at the College of Architecture + The Arts at the Florida International University. There, architecture students can use 3D printers to re-imagine buildings and explore new design possibilities. As the use of additive manufacturing in universities and research institutions expands, students and research staff can now request the production of their designs. 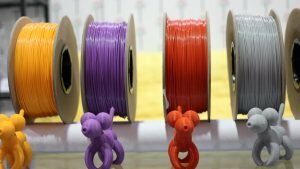 However, the increase in demand means that the manual management of 3D printing requests can become inefficient and laborious. With the increase in demand comes a need for 3D printing labs within universities and research institutions to automate their AM workflows. Workflow management software tailored to the needs of the education sector offers a range of benefits, such as the automated processing of requests and cost calculations, real-time tracking and automated file preparation. For example, AHO has implemented RP Platform’s automation software within its AM department, using it to achieve greater efficiency in the pre-production stage, as well as managing production and tracking requests. Collaboration between higher education institutions and OEMs can bring enormous rewards for additive manufacturing, from narrowing the skills gap to forging new trends in AM. Indeed, for additive manufacturing to truly thrive, OEMs and manufacturers, alongside universities, will play a key role in training the next generation of AM professionals. With the ongoing research into AM systems, materials processes and other areas of additive manufacturing, it is clear that universities and research institutions will continue to play a key role in successfully bridging the gap between theory and practical implementation. This is the third in our Industry and AM series — why not check out our last article on how AM is impacting the medical industry?